As a result of conflict between the expanding British Empire and Russia, Fort Lytton was built in 1881 on the advice of British engineers, Jervois and Scratchley. Situated at the mouth of the Brisbane River, the pentagonal shaped fort was surrounded by a water-filled moat. It boasted four heavy gun positions – two to fire down the river and two to fire across. An underwater mine system could also be placed across the river in times of emergency. By the turn of the century the armaments had increased to six heavy guns and two machine guns. Queensland’s defence force had started with volunteers in 1860 and by the mid 1880s included some permanent soldiers. Fort Lytton was their main training ground. Annual camps were run there, which in the early years were a highlight in Queensland’s political and social calendar. Thousands of Brisbane’s citizens would travel by train or boat to Lytton to watch the spectacular military manoeuvres and ceremonial displays. 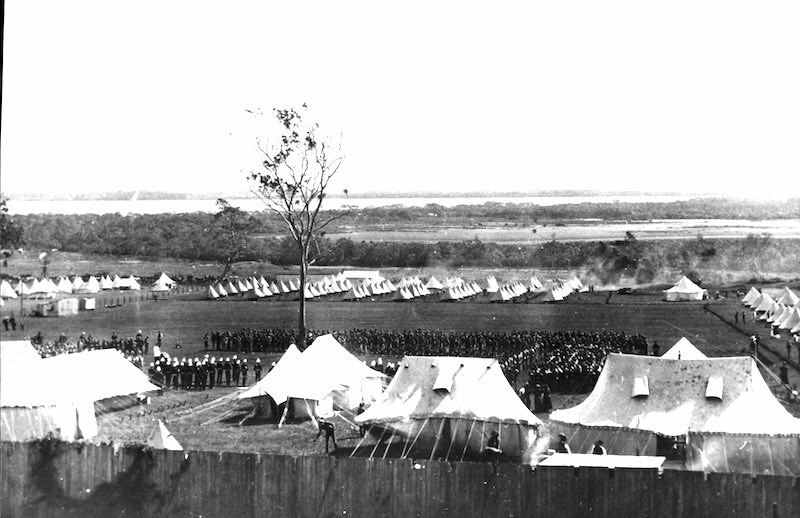 Army camp at Fort Lytton in the early 1900s. 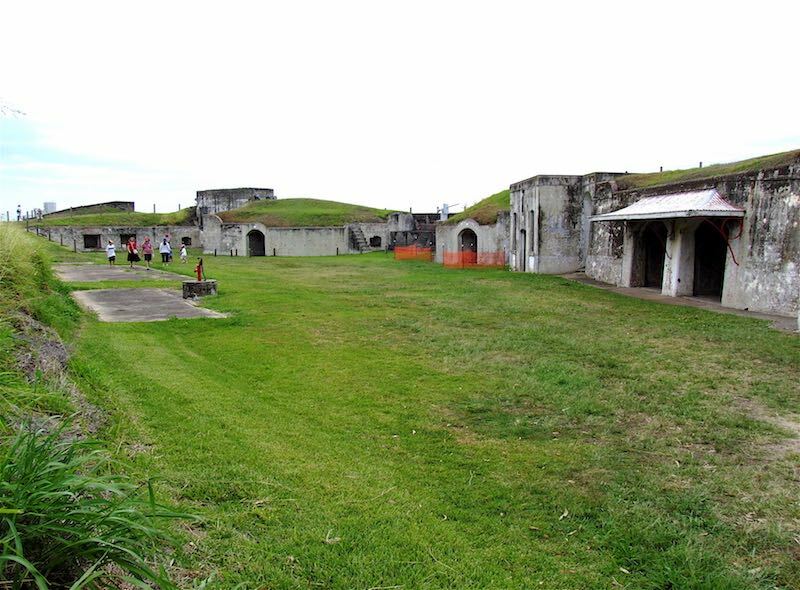 Throughout World Wars I and II, Fort Lytton continued its defensive role and remained a major training facility. A submarine boom was mounted across the river during World War II. After World War II the fort no longer met the defence needs and was gradually abandoned.